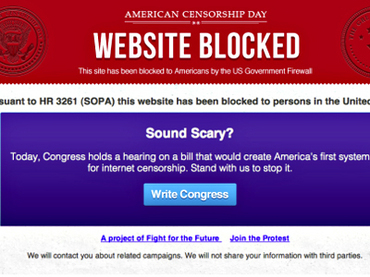 GoDaddy on Friday announced their withdrawal of support for the Stop Online Piracy Act (SOPA). The announcement comes after thousands of customers began abandoning the company for its support of the program. One of those customers was Ben Huh who’s I Can Haz Cheezburger network has more than 1,000 domains registered to GoDaddy. GoDaddy’s support for SOPA was discovered when the United States House of Representatives judiciary committee released a list of 150 backers for the plan. At the heart of the SOPA issue is the power it would give to government officials and company’s to shut down websites that infringe on any of their copyright. Rather than having specific material removed an organization could effectively shut down an entire website. Do you think the mass exodus away from GoDaddy is warranted based on the danger SOPA poses to publishing rights?